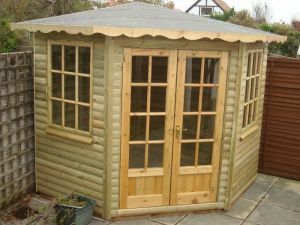 A garden summerhouse is a great way to add extra home space whilst avoiding the need for planning permission* and all of the extra costs involved in adding an extension to the home. 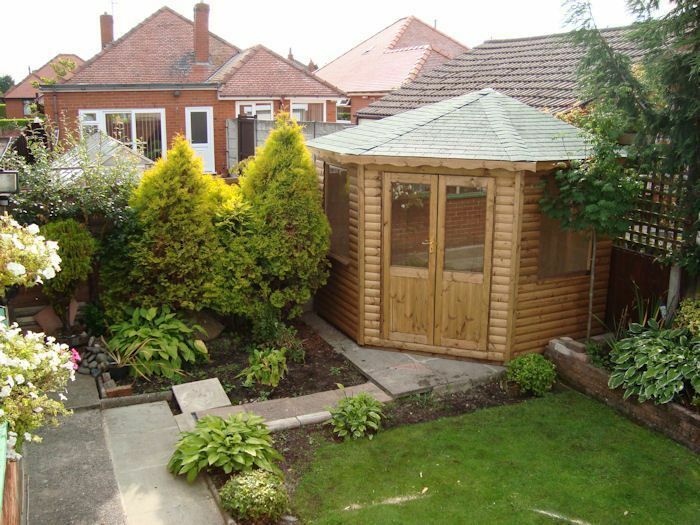 Somewhere private to enjoy the garden in a more peaceful environment. 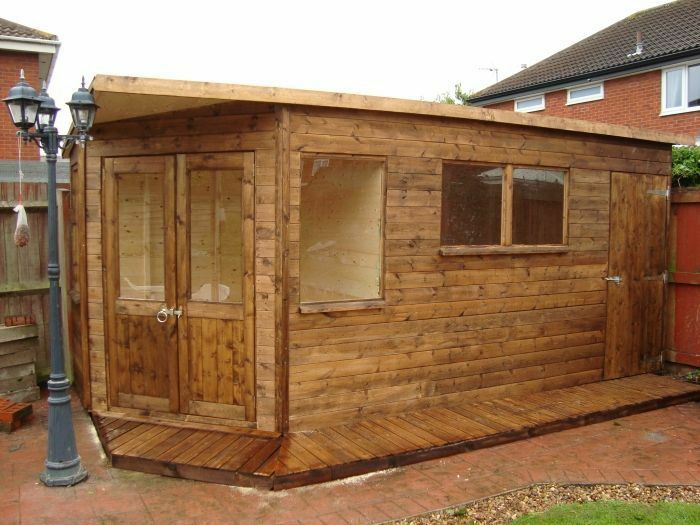 A potential office. Working from home, yet seperate from the main home. 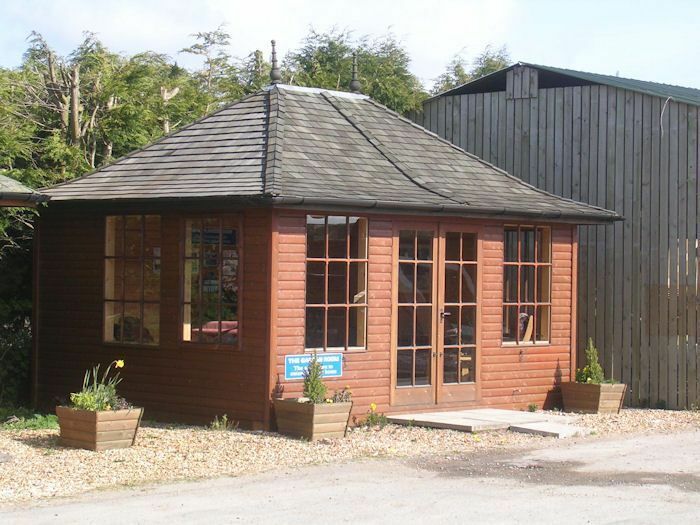 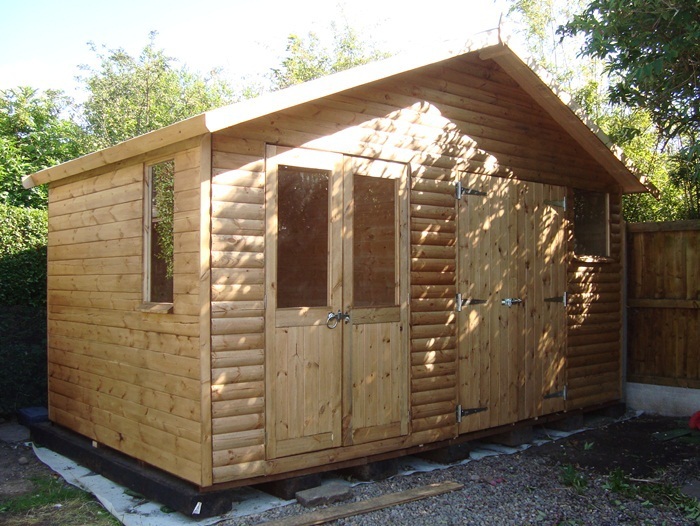 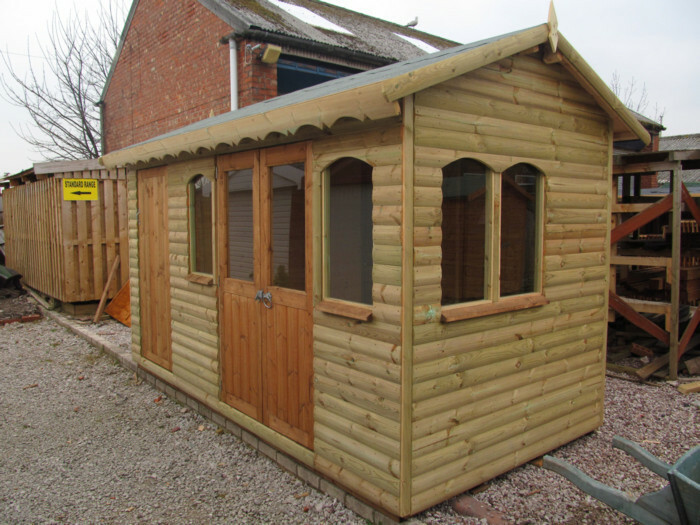 With a combi, you can get the best of both worlds - a storage shed and summerhouse all under one roof. 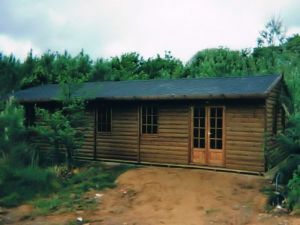 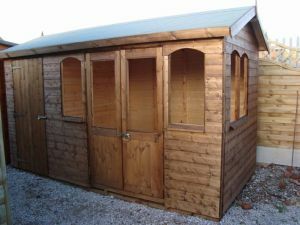 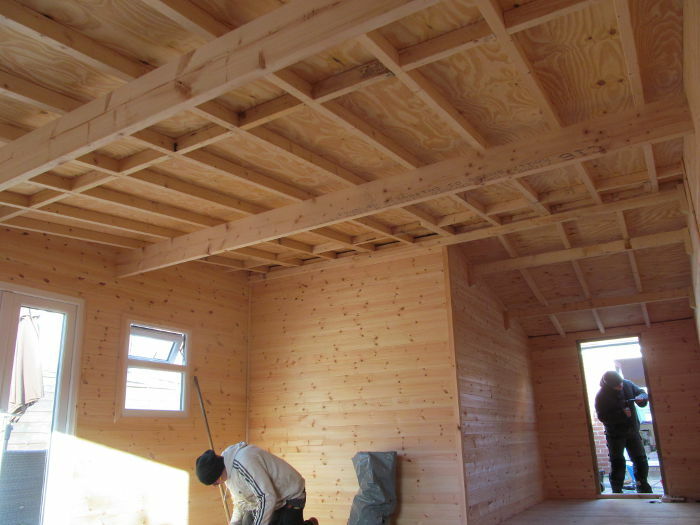 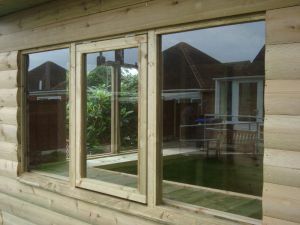 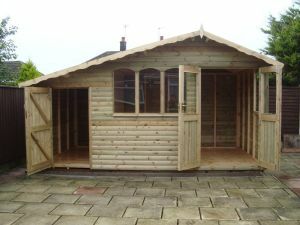 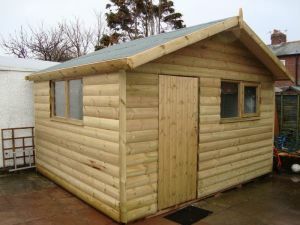 All come with pressure treated wood, heavy duty timber frames (2" x 2"), tongue and groove timber or log cladding in 4"x1" (100mmx25mm) timber. 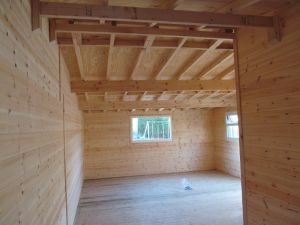 Is not nearer to any public access than the nearest part of the original house (or there's at least 20m between the new building and the access). Does not cause the area covered by extensions or other buildings to exceed Less more than half the area of land around the original house. 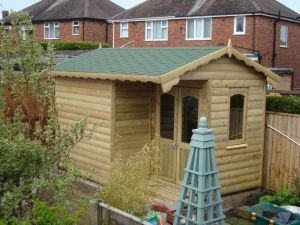 Is no more than 3m high or 4m high if it has a ridged roof. 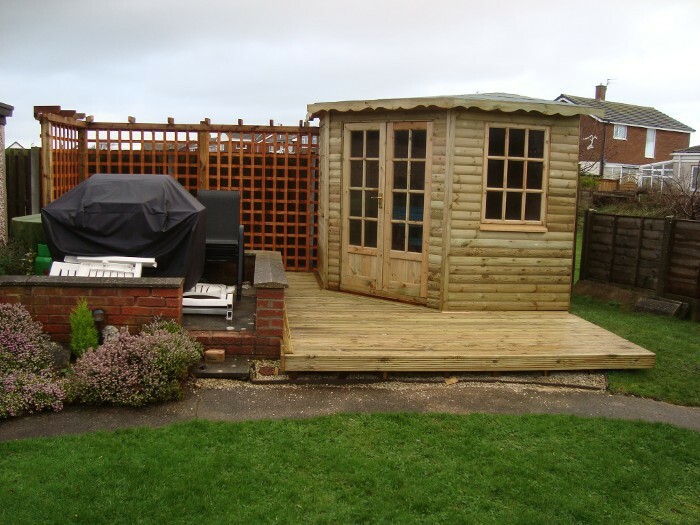 Rules can vary so always check with your local planning authority to be certain. 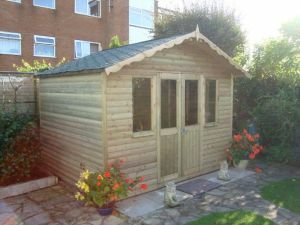 As a room to enjoy the garden with or without friends in a more private setting away seperate from the home. As an office or work area, where family disturbance is less likely. 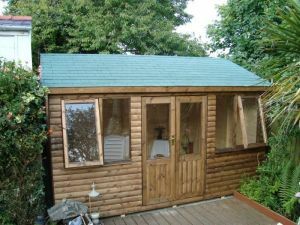 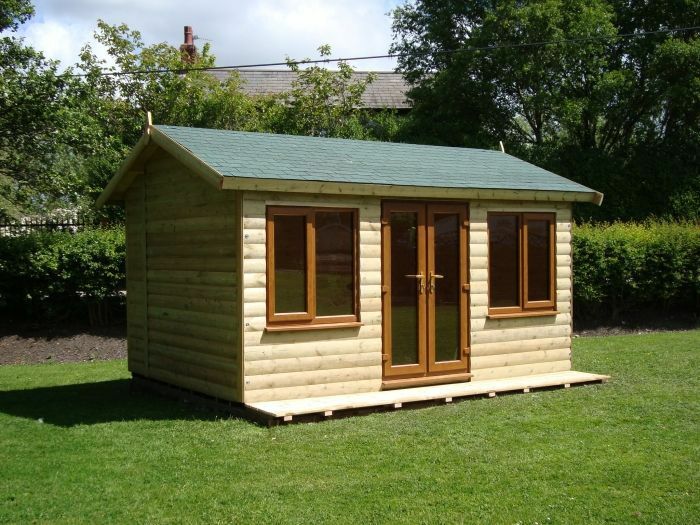 The Standard Summerhouse range comes with multiple roof options. 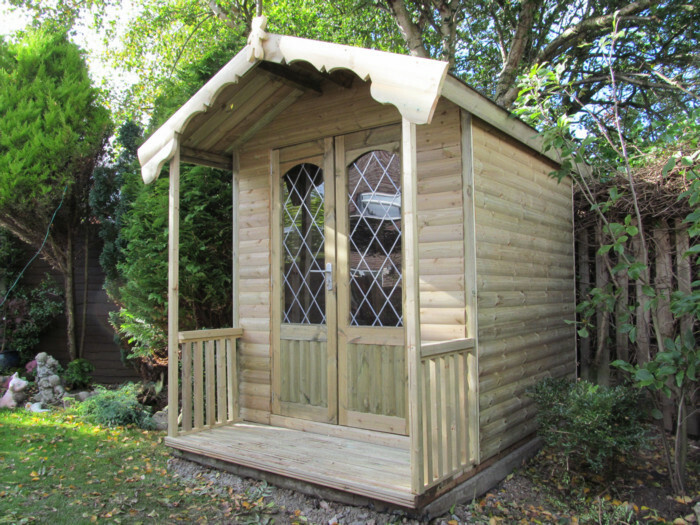 Stylised windows and doors so the perfect summerhouse can be found to match every garden. The nice exterior can be complimented with an interior designed for your intended use or style, be it leisure or office. 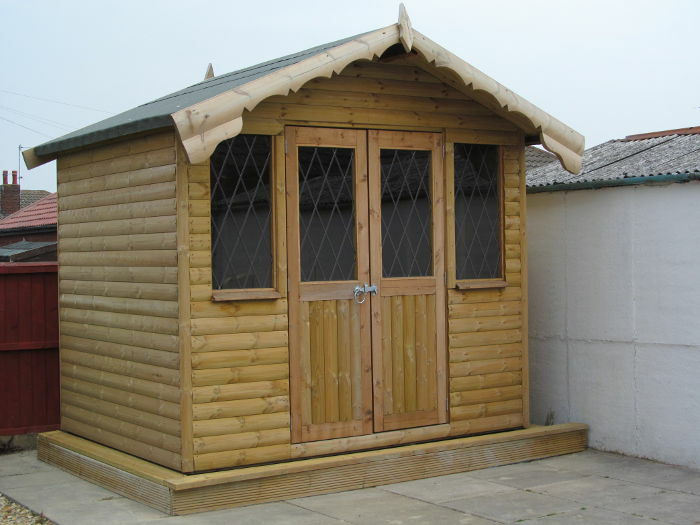 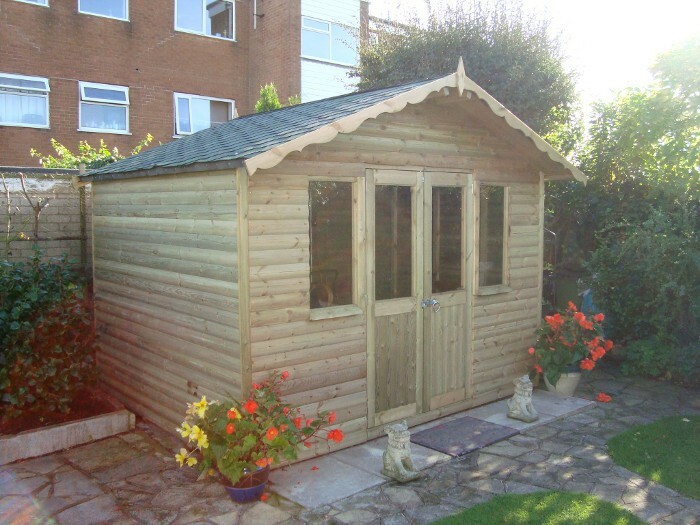 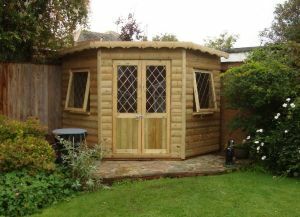 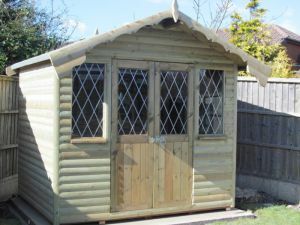 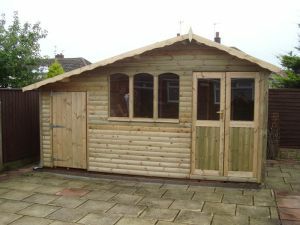 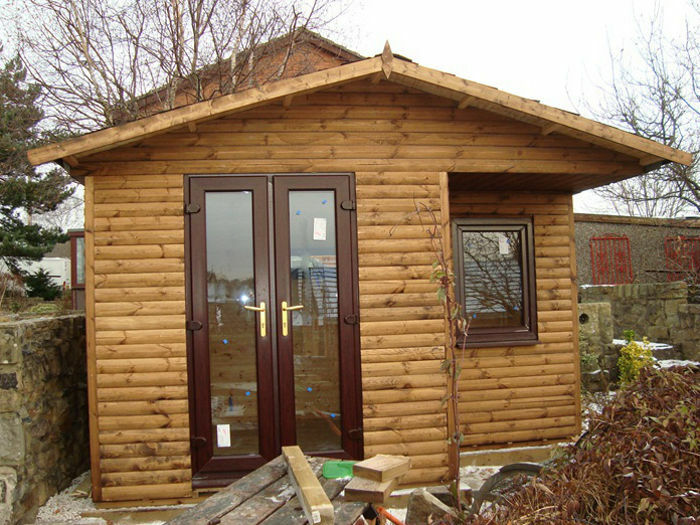 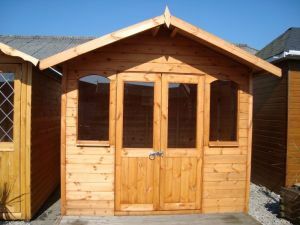 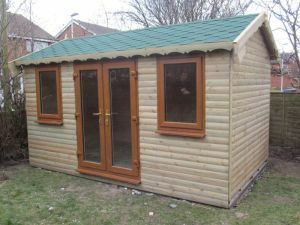 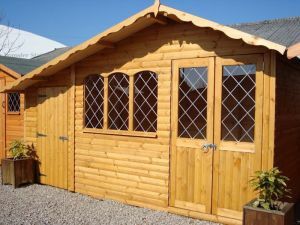 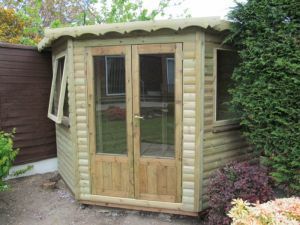 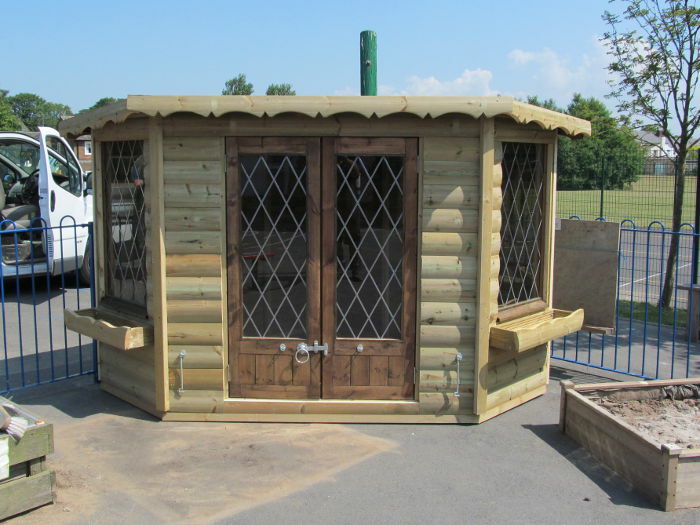 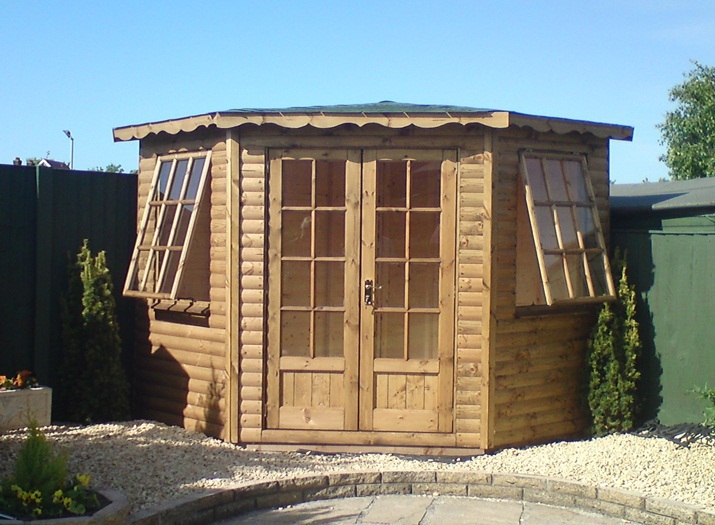 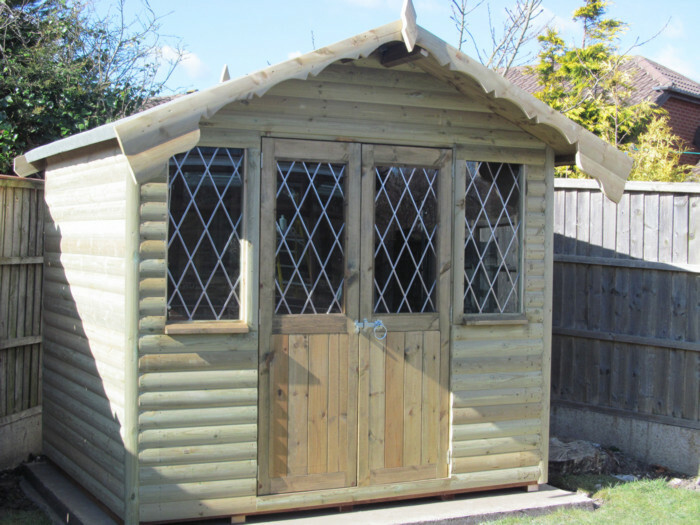 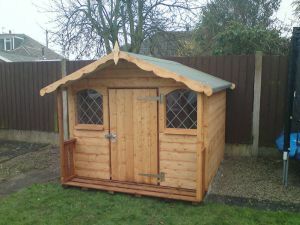 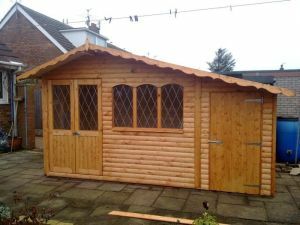 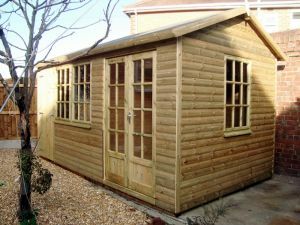 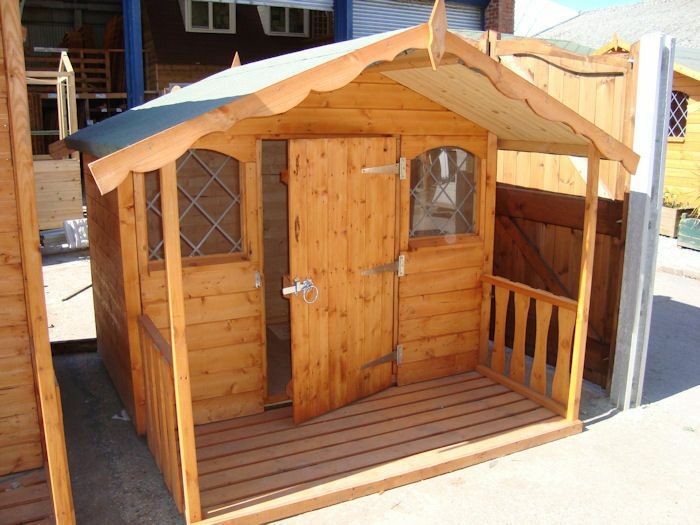 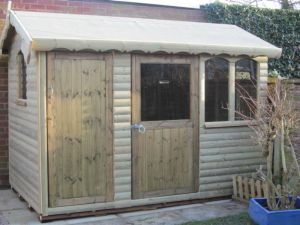 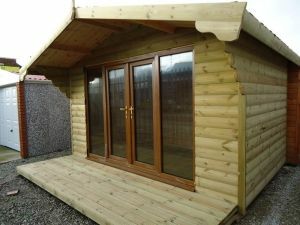 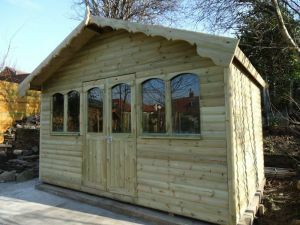 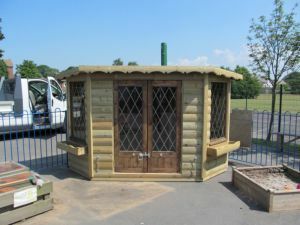 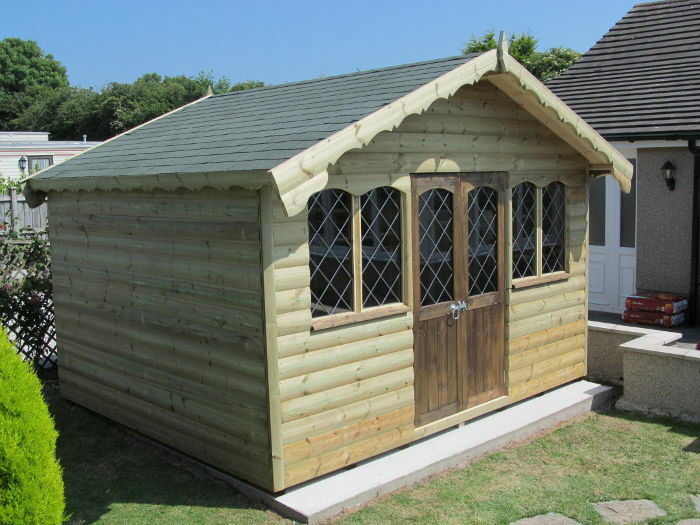 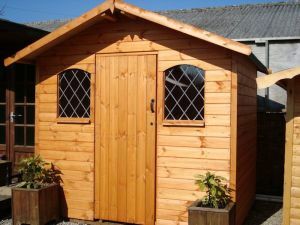 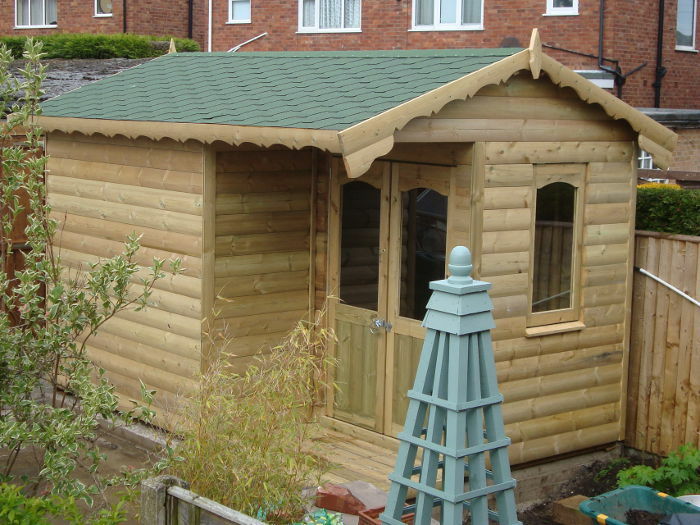 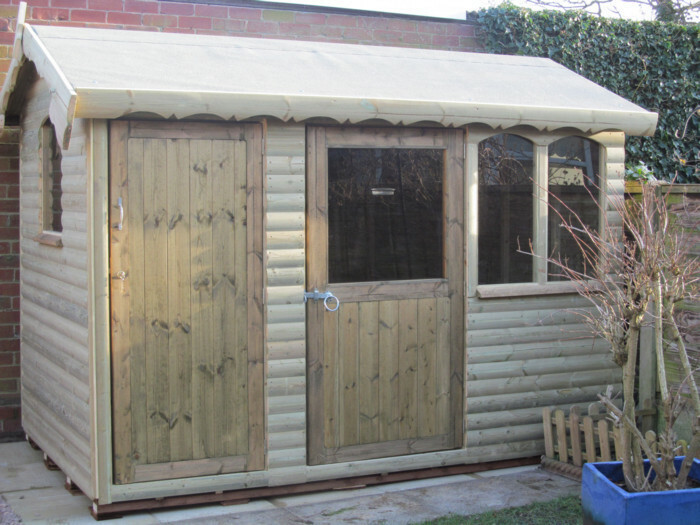 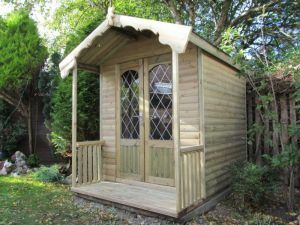 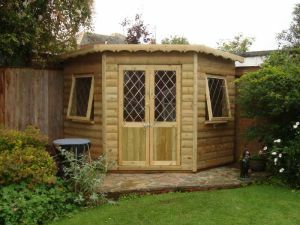 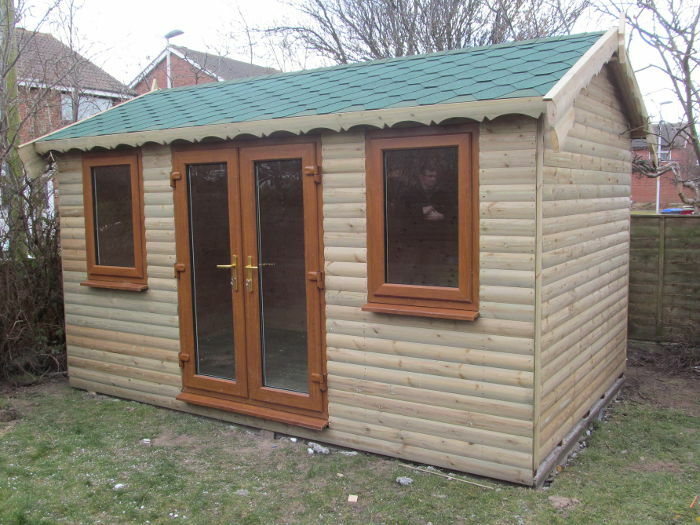 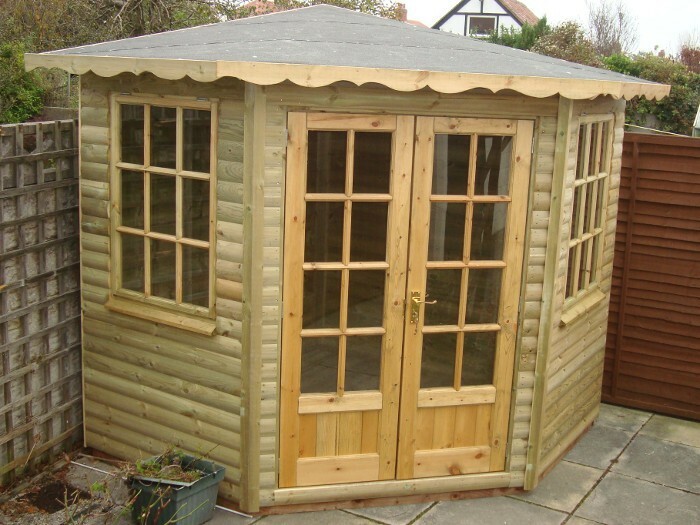 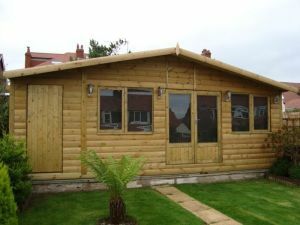 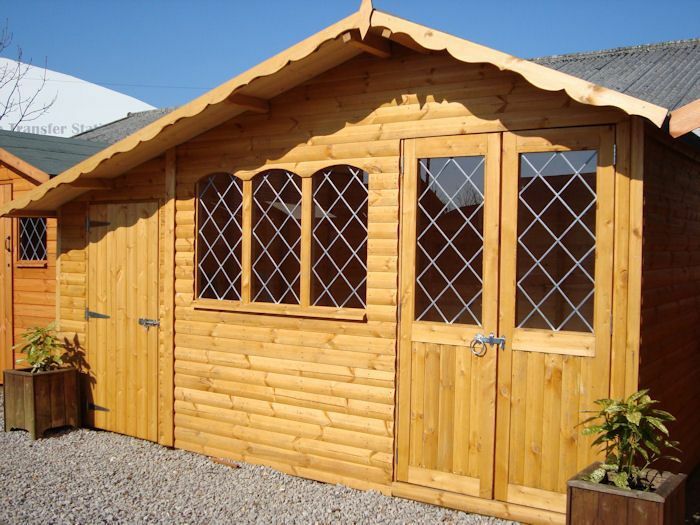 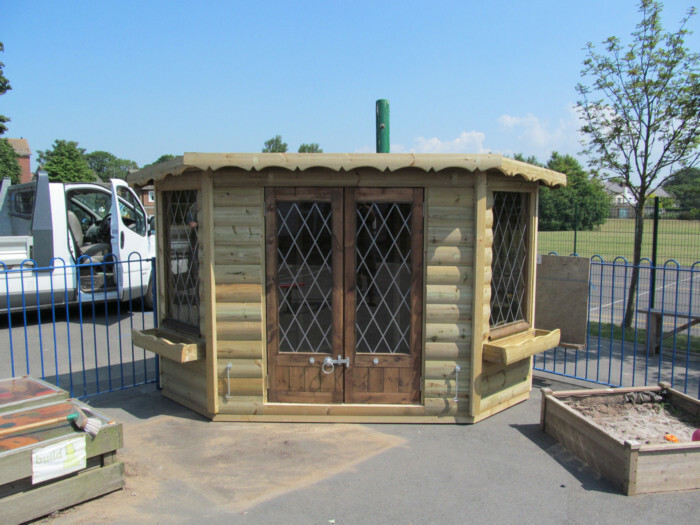 The log cabin summerhouse range has a luxury wooden log design, available in many sizes with artistic windows and door fittings. 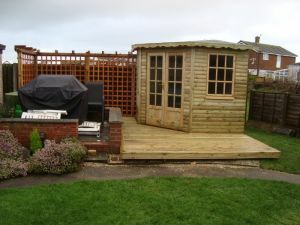 They can be personalised further by using different woods and adding front porches and decking if desired. 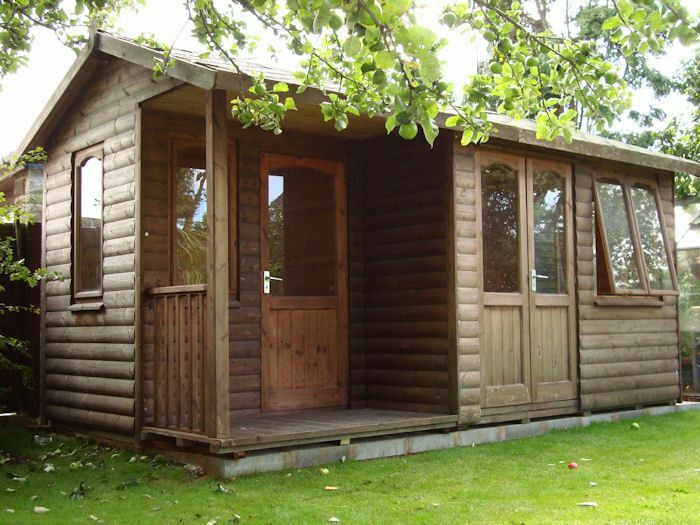 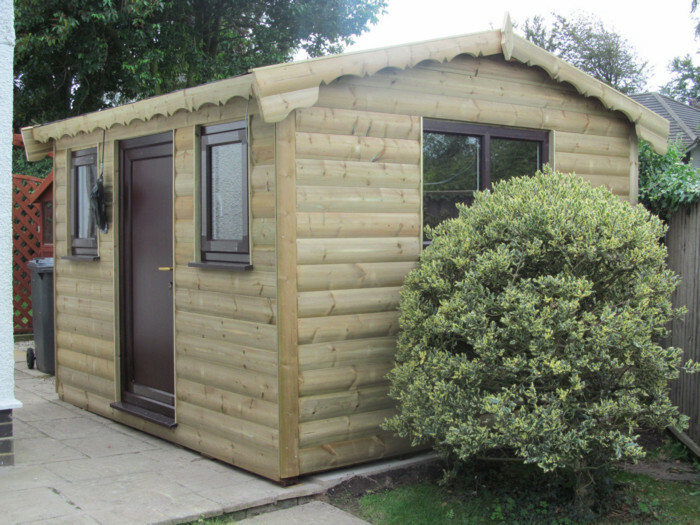 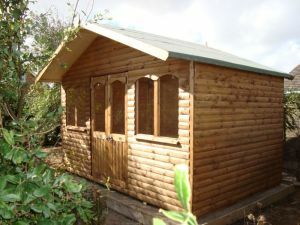 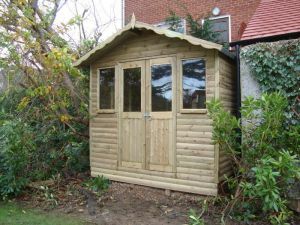 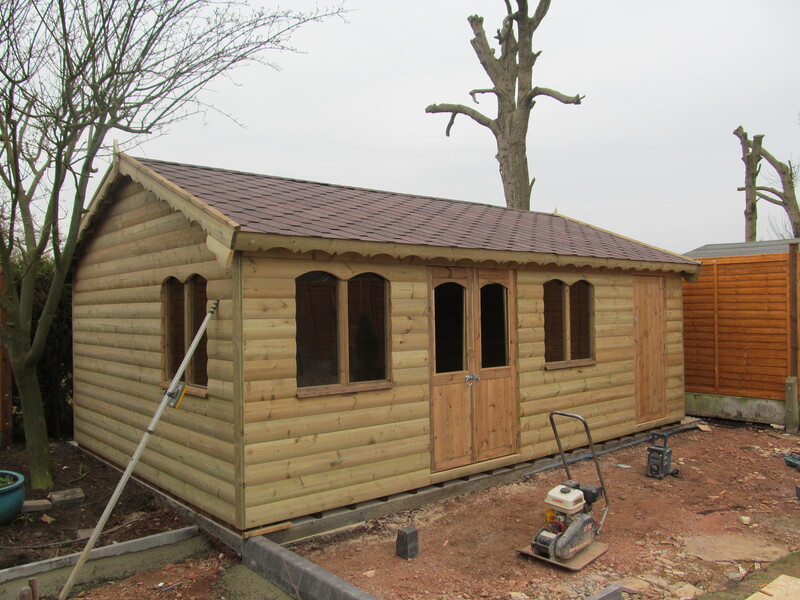 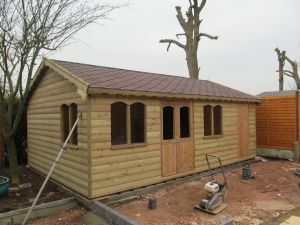 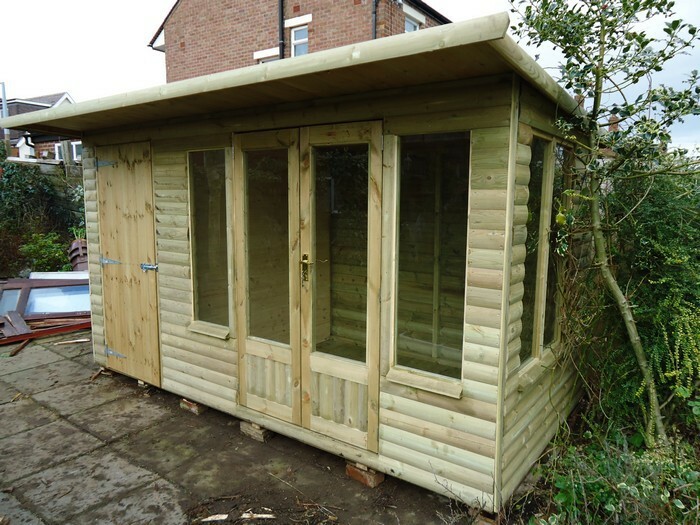 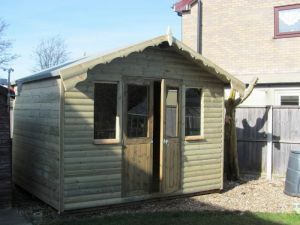 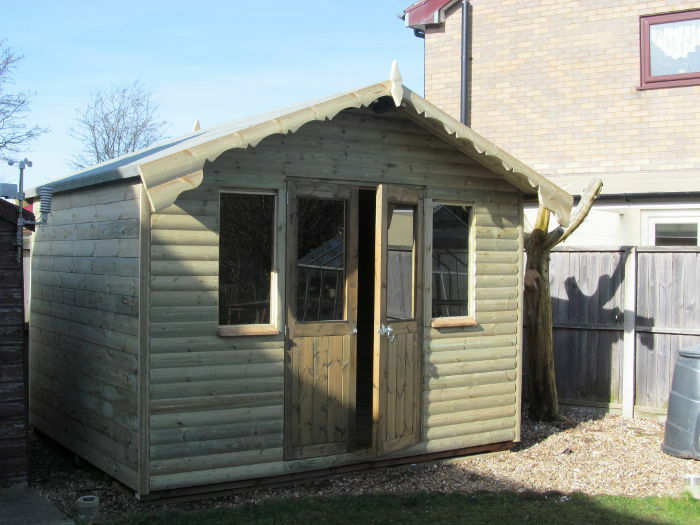 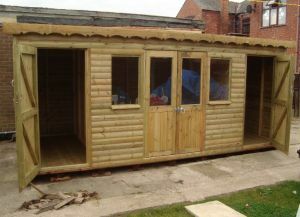 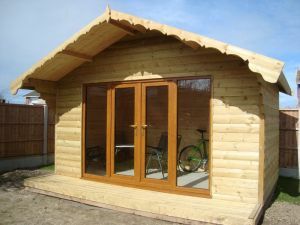 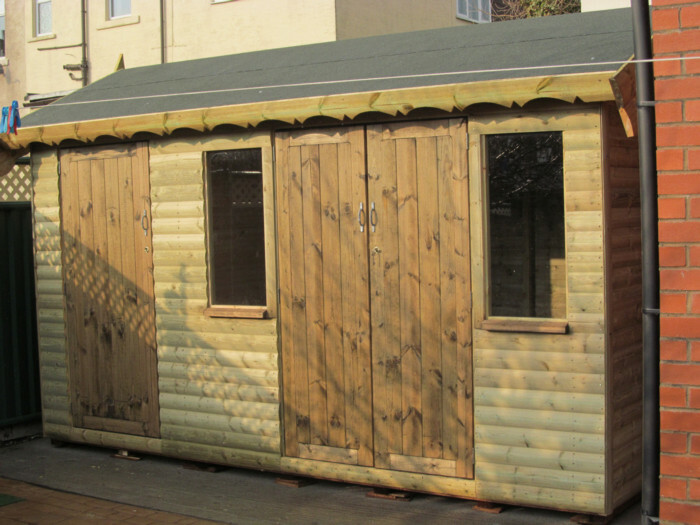 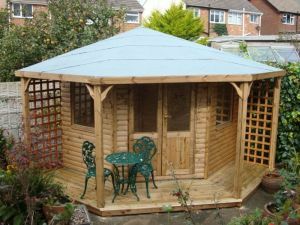 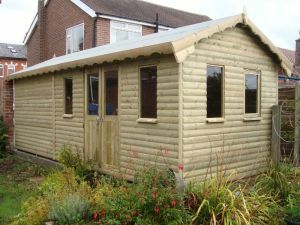 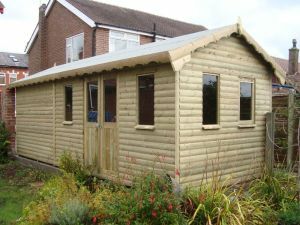 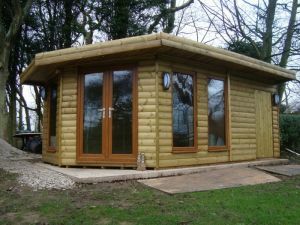 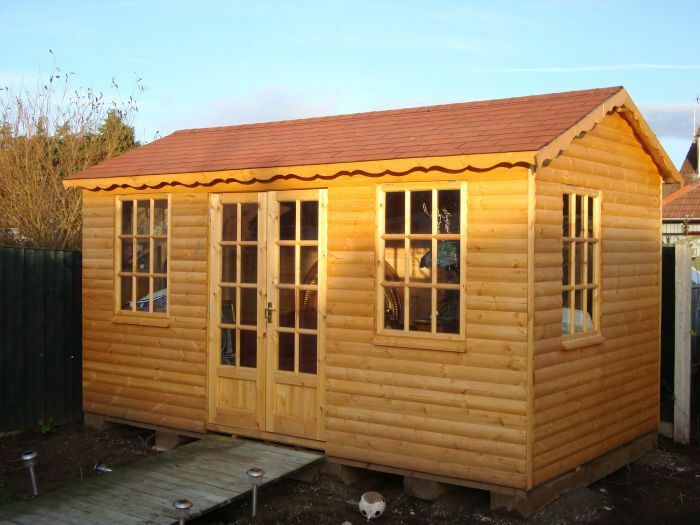 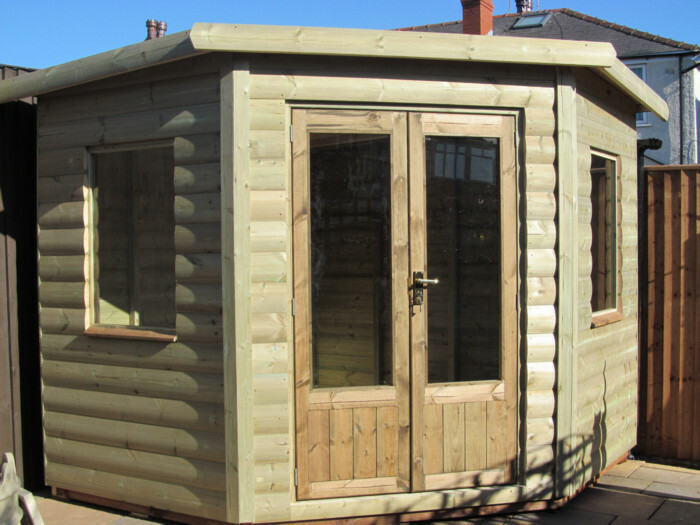 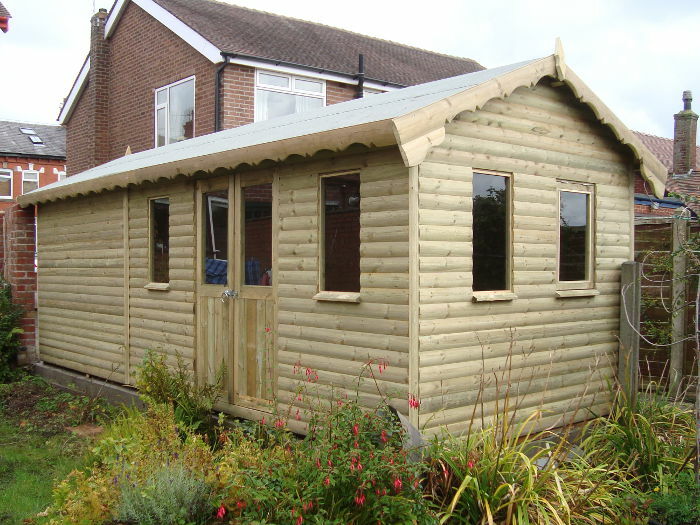 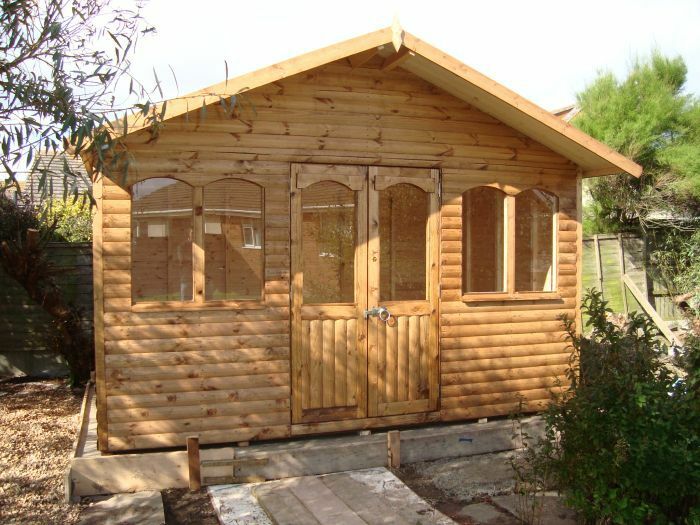 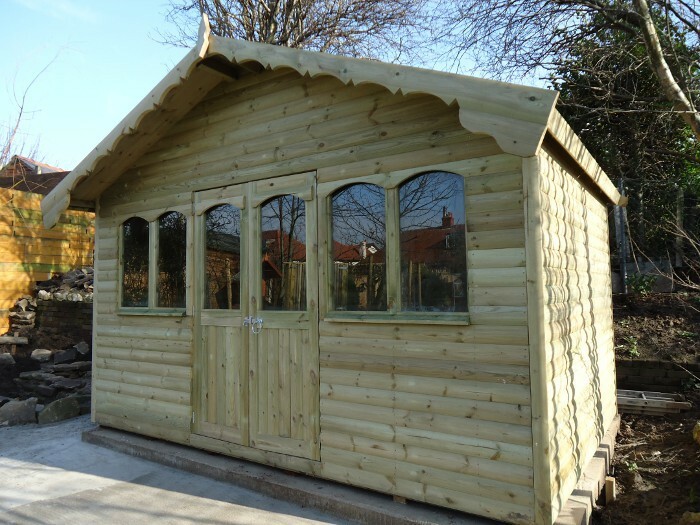 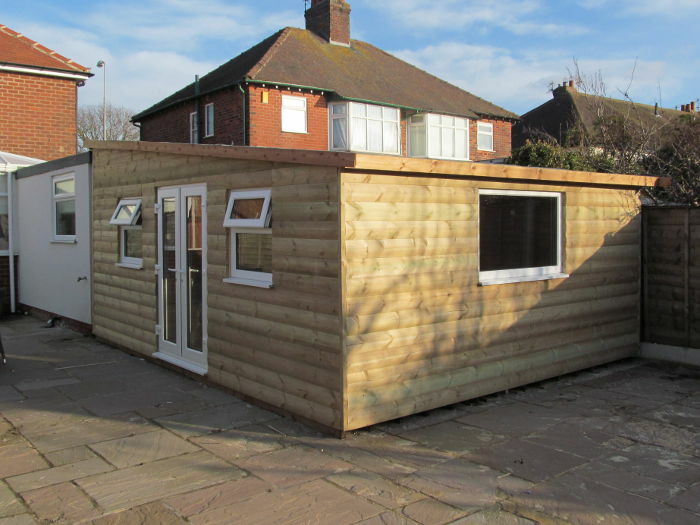 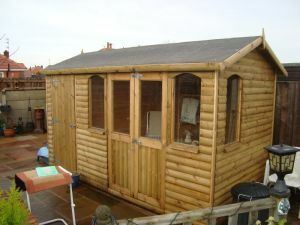 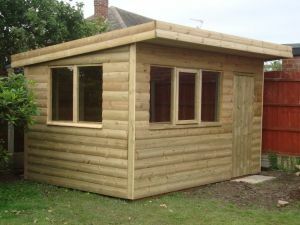 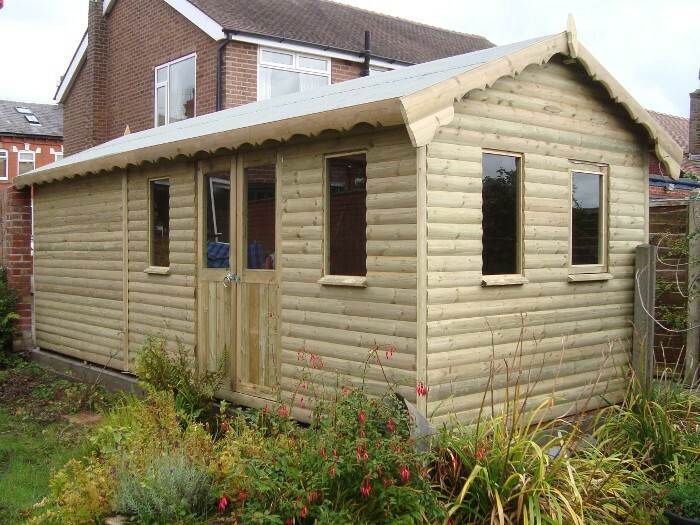 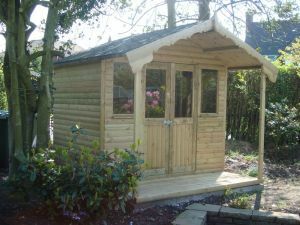 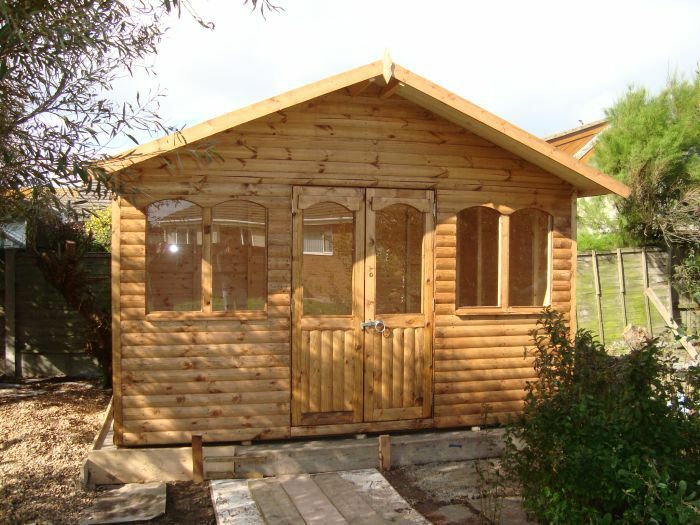 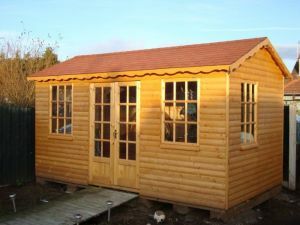 Substantial and practical, our log cabin summerhouses are ideal for use as a garden office, to create extra living space such as a spare guest room, a safe outdoor playroom for the kids, as an art studio or just a classically styled quality garden building. 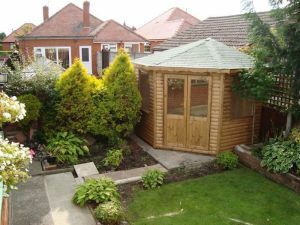 Need garden storage space and somewhere to relax in peace whilst enjoying your garden...sheltered from England's unpredicatable weather...sun, rain or hail? Combi summerhouses offer an efficient and cost effective solution all under one roof. Available with pent roof, apex roof or offset apex roof. 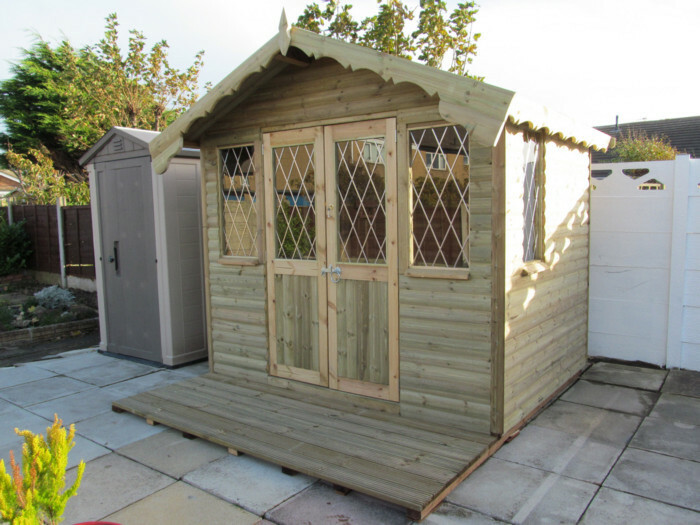 Optional extras include: leaded windows, window boxes, decking to the front and lockable doors. 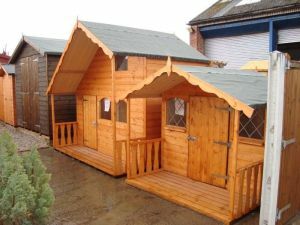 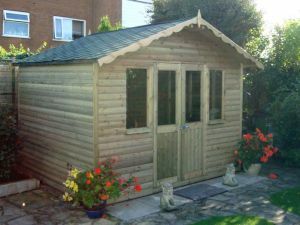 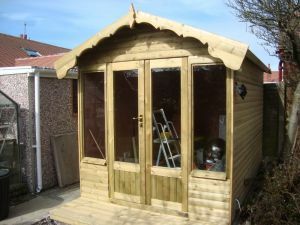 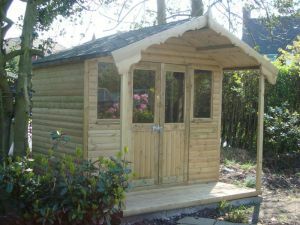 Our combi summerhouses are all made to the highest standard using the finest quality materials. 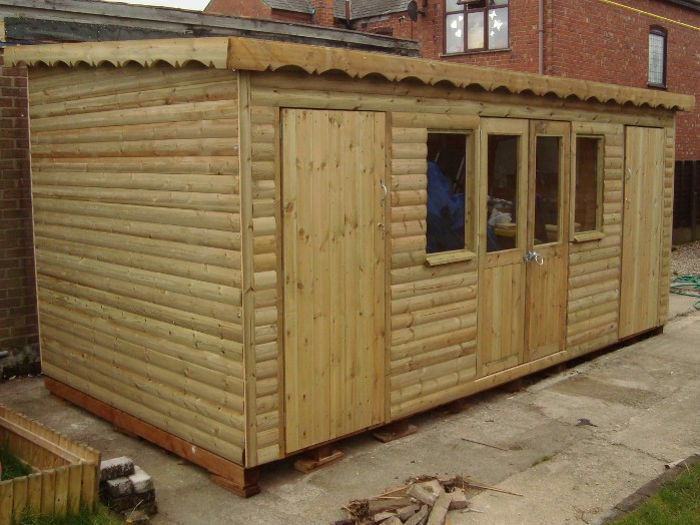 Delivery and fitting is included in price. 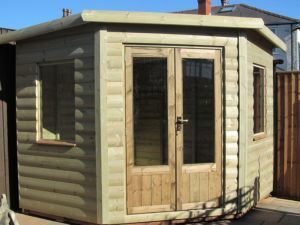 We are happy to give a no obligation quote for a bespoke combi summerhouse. 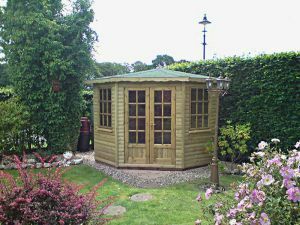 A corner summerhouse is a great way to give your garden a beautiful outdoor retreat or shelter, designed to make the most of a corner of your garden. 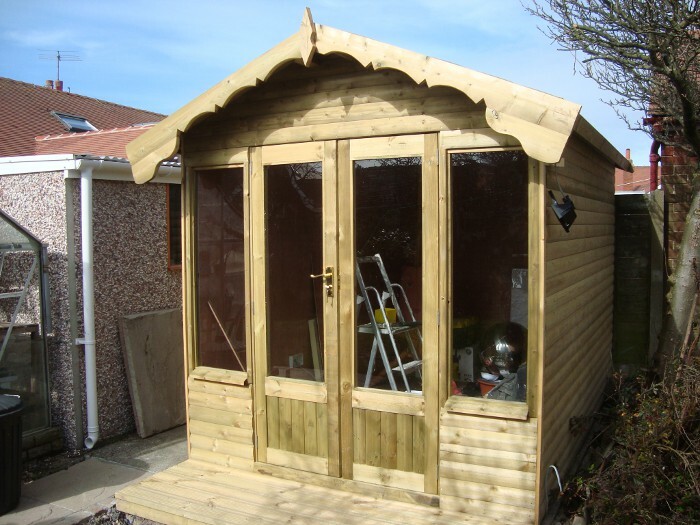 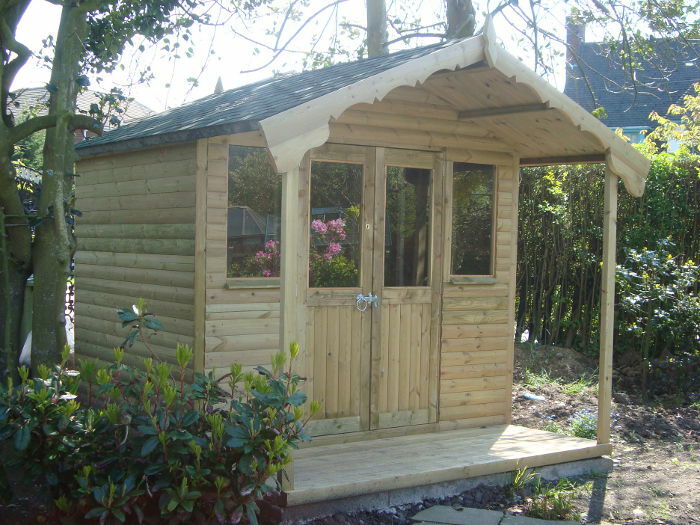 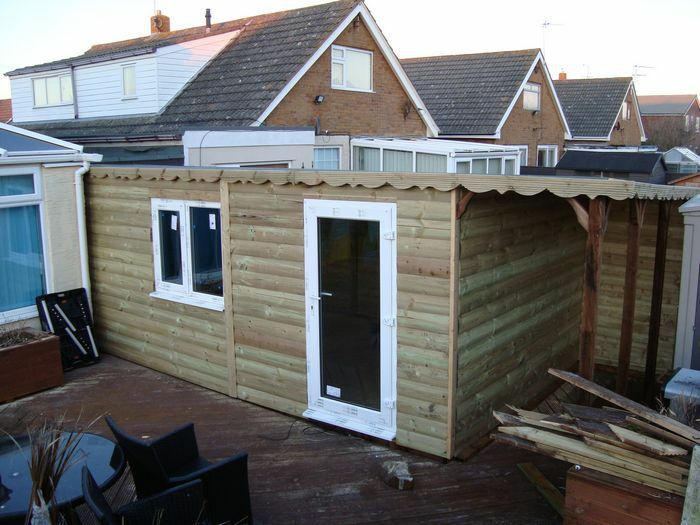 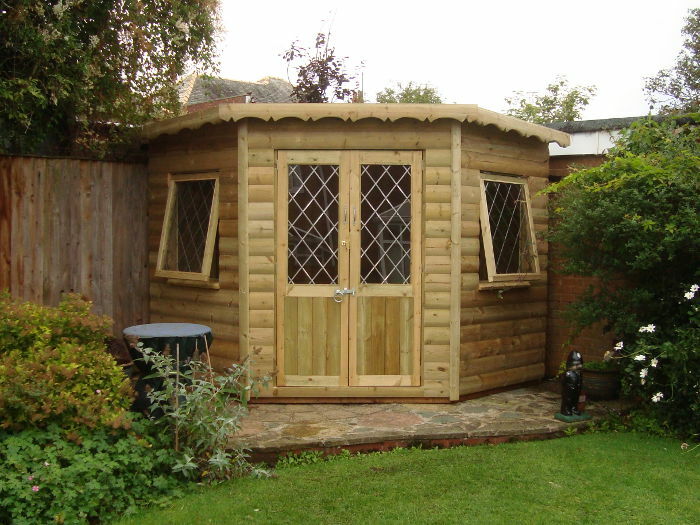 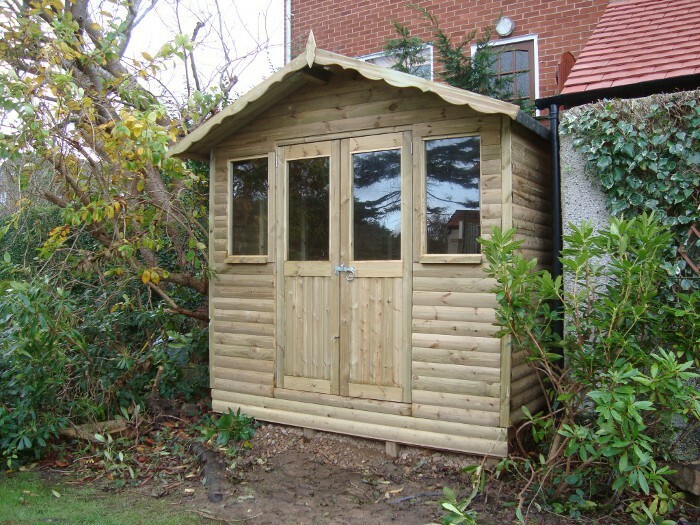 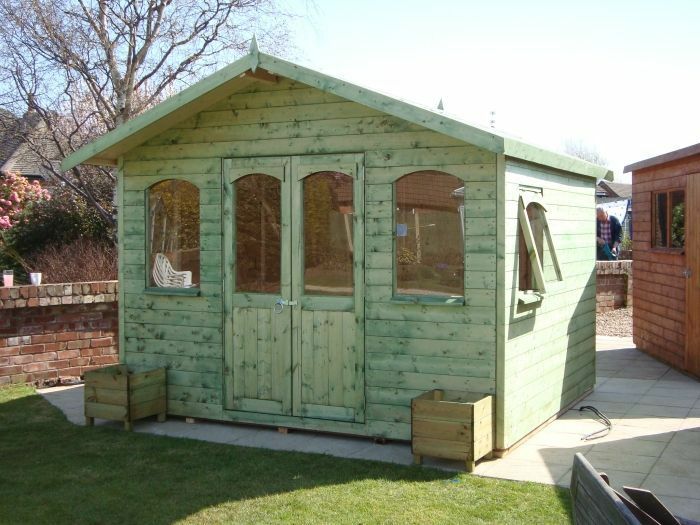 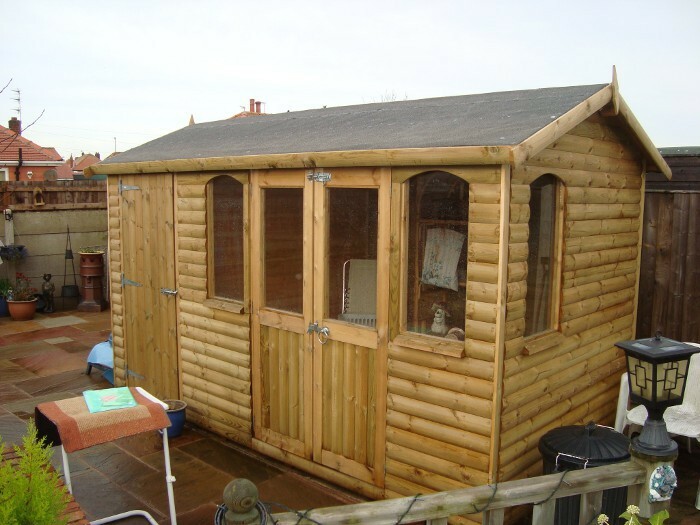 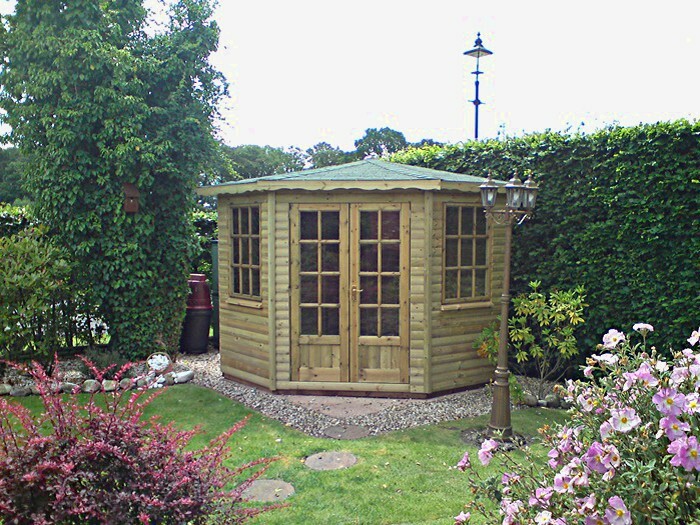 Our corner summerhouses are made to the highest standard using the finest quality materials. 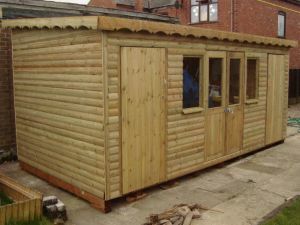 Delivery and fitting is included in price. We are happy to give a no obligation quote for a bespoke corner summerhouse. 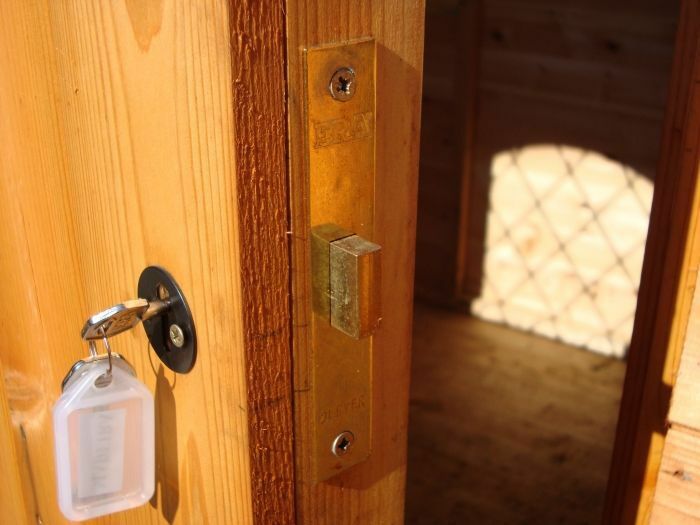 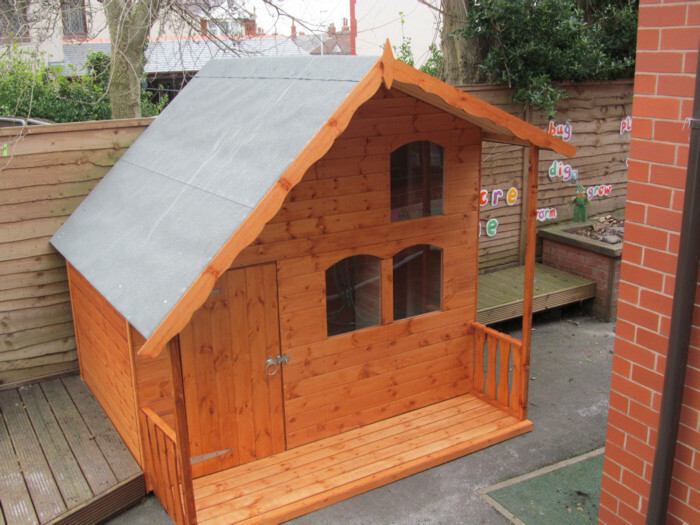 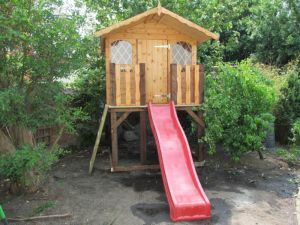 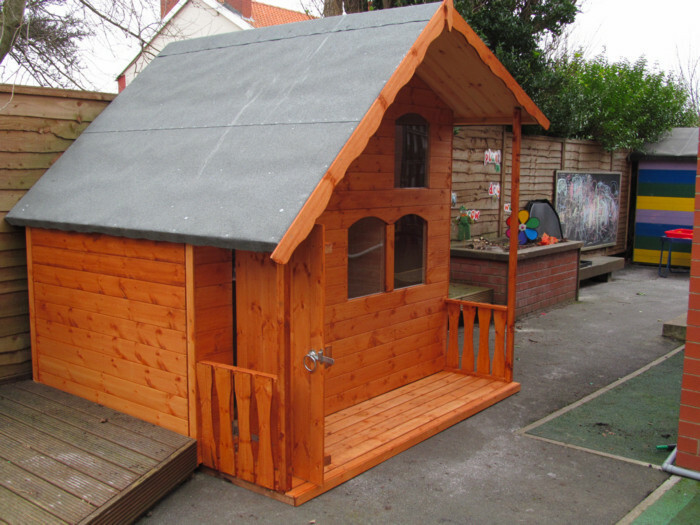 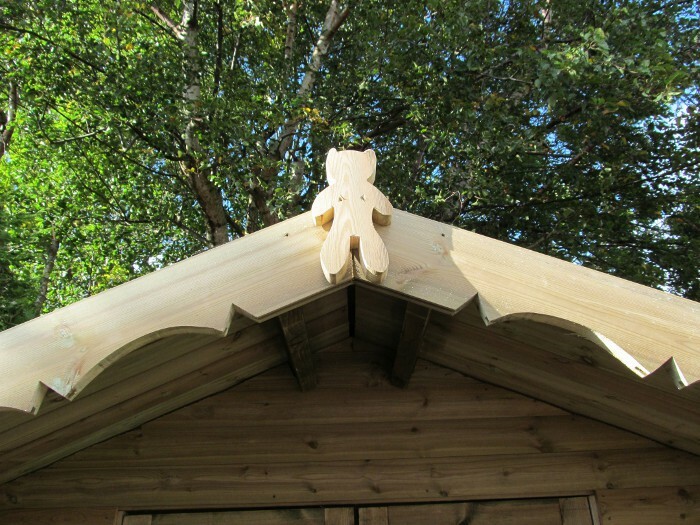 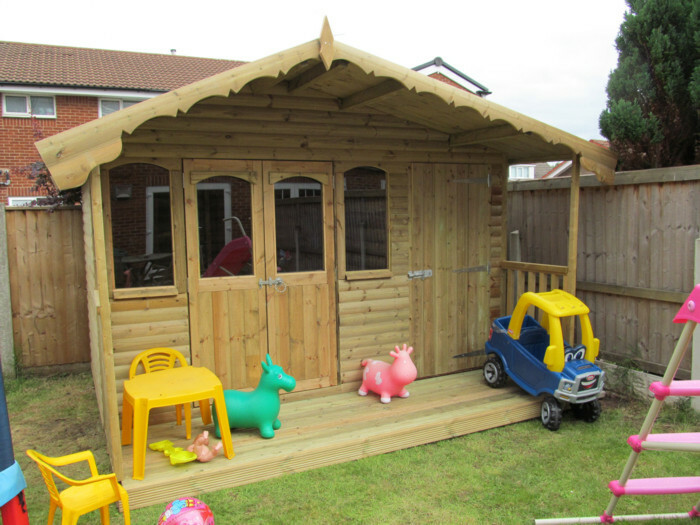 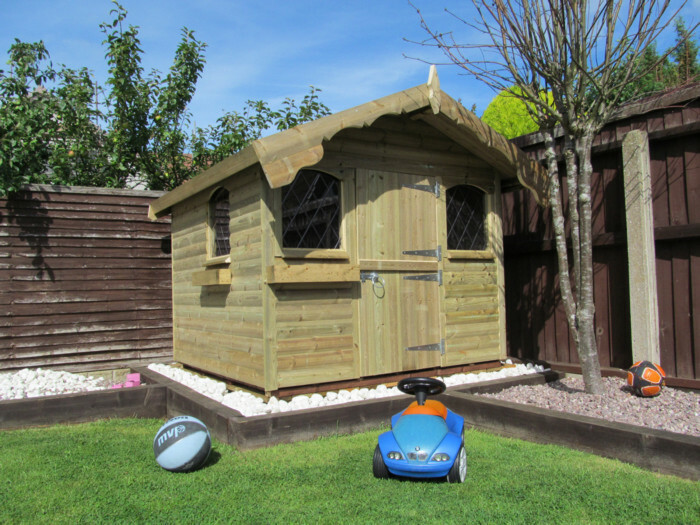 Our Playhouse range of summerhouses are all extra safe with specialised latches and door hinges to prevent children hurting themselves, they can also be 2 stories if requested. 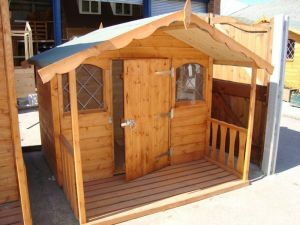 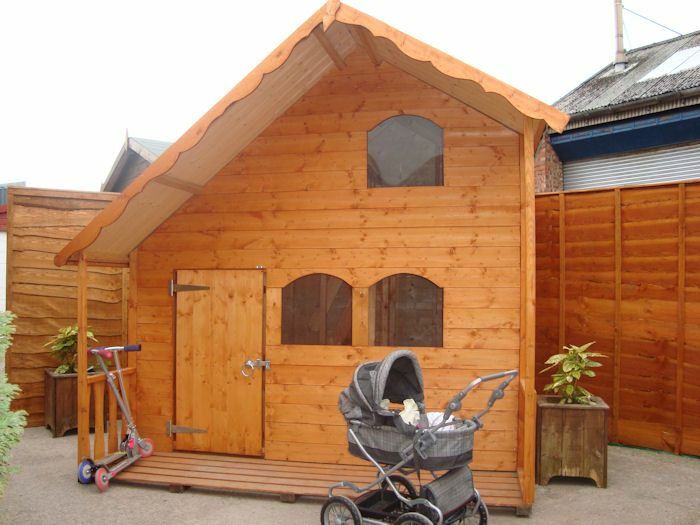 The Playhouse range of summerhouses is designed to be the perfect fun place for children to play in the garden, a little house where they can bring friends and parents not worry about their safety.